Bank of India will close its Uganda operations by March 31 despite the Central Bank denying the claims, PML Daily has learnt. 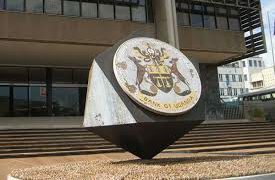 On February 19, PML Daily reported that Bank of Uganda had agreed to take over the management of Bank of India in Uganda and to suspend all members of the board in March following a meeting between the bank and Bank of Uganda (BoU) officials led by deputy governor Loius Kasekende. Whereas BoU has since released a statement denying plans by the bank to liquidate, PML Daily has learnt that the bank will still close its operations in Uganda. Sources said whereas the bank is in good financial position, it will close on the directive on the mother bank back home in India. On Monday, Bank of India Uganda managing director Ajay Kumar Panth had PML Daily that much as the bank is doing well, its closure is dependent on a meeting to be held in March between the Bank of India [Parent bank in India] and the management of Bank of India Uganda. “To tell you the truth, this bank is doing well compared to other banks, it is making profits and we can’t just close it but this will also depend on the outcome of the bank management late next month,” said Mr Kumar. Sources said the parent bank in India will shut the Uganda branch as well as those in New Zealand and Botswana in a bid to cut down costs amid an increase in non-performing assets as per the bank’s December 2017 financial statements and also meet restrictions set by the Reserve Bank of India. The closure of the subsidiaries will see the bank save about at least $50 million in capital which it can use to strengthen its domestic capital. On January 28, Bank of India also closed its subsidiary bank in Yangon, Myanmar. The bank also plans to close down representative offices in Beijing and branches in Shenzhen (China) and Jersey (Channel Islands) by the next fiscal year. The bank is fourth largest public sector bank in India with Rs 6.14 lakh crore in assets. According to sources at the bank, the management of the Bank of India has already agreed to give Bank of Uganda a liquidation plan to allow the central bank to do close monitoring to ensure that depositors are protected. This follows a letter written to the bank by Bank of India in India asking the management of Bank of Uganda to take over the bank by March 31 due to restructuring, recapitalisation and in order to improve on return on assets in Bank of India. “Due to restructuring and recapitalisation and improving on return on assets in Bank of India, we have decided that with effect from end of March 31, 2018to end business at Bank of India Uganda,” reads the letter in part. Bank of India reported a net loss of Rs 2,341.23 crore in the quarter ended December as it was directed to provide for Rs 13,645 crore of loans and line of credits issued to counter party banks. According to the 2016 financial results, Bank of India Uganda recorded a net profit of Shs2.3 billion, up from Shs1.2 billion in 2015, making it the 15th most profitable bank in Uganda in 2016 out of the 24 banks in Uganda. About the denial by Dr Mutebile, our source revealed that the process must be managed to avoid a backlash especially since it involves securing depositors’ money. 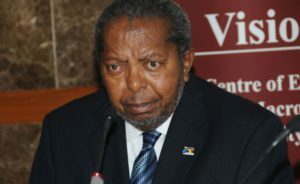 It should be remembered that when news first trickled through on the planned closure of Crane Bank, Dr Mutebile came out to state that there were no plans by the Central Bank to take over the then fastest growing bank in the country. Weeks later BoU officials swang into action, closing Crane Bank to protect clients.